As individuals, it can be natural to look at health care in a vacuum and focus on personal medical issues. 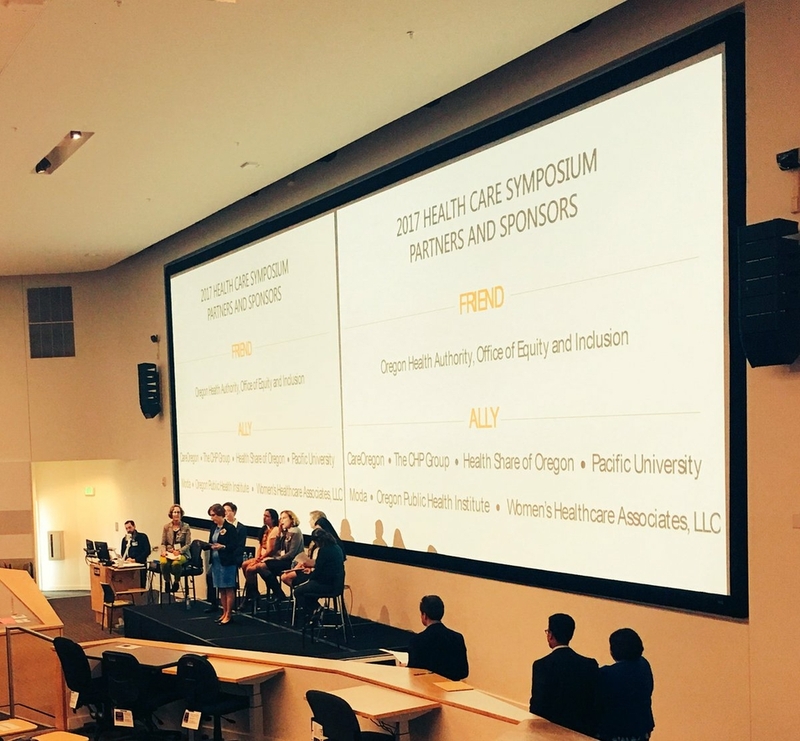 As a business leader and community partner, Regence BlueCross BlueShield of Oregon is focused on broadening our perspective to create a more equitable and effective health care system for all Oregonians. Recently one of the organizations that Regence supports, the Virginia Garcia Memorial Health Center, hosted its ninth Annual Health Care Symposium: Women & Children First. Virginia Garcia is an organization that provides high-quality, comprehensive, and culturally appropriate primary health care to the communities of Washington and Yamhill Counties with a special emphasis on migrant and seasonal farmworkers and others who face barriers to receiving health care. The town hall discussion included a panel from state government, including Congresswomen Suzanne Bonamici and House Speaker Tina Kotek, and local community organizations, to discuss issues surrounding women and children’s health, and what the future of health care might look like. With the fate of the Affordable Care Act being debated at the state and federal level, many impacted individuals are facing a very uncertain future when it comes to health care. But for this event, the discussion quickly took a turn towards a bigger issue: taking a holistic look at all of the facets that make up community health care. According to Melissa Tosti, a Regence employee who attended the event, the discussion uncovered a wide variety of other important issues. One issue in particular—how a person’s community can help provide positive support—caught Melissa’s attention. At Regence, our focus is on supporting organizations like Virginia Garcia that are helping both individuals and entire communities access health resources and make more informed health decisions. We are proud to play a role in advancing these efforts.